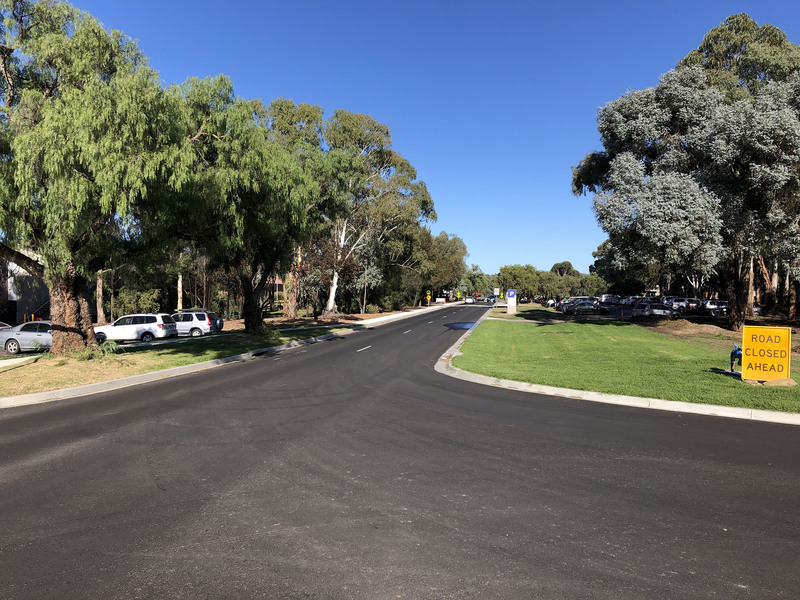 The Division of Facilities Management will facilitate rehabilitation works on the Bathurst Campus to Village Drive from the Gymnasium (1220) through to John Oxley Village car park P12, Ordnance Road from Village Drive through to the concrete pavement behind Truskett Library (1412) and Wirri Place. The University's objective is to upgrade of high priority roads to prevent further degradation and ensure roads are safe to use and the elimination of costly temporary patching of the roads. The completed project will enhance the Traffic movement and identity of the campus. The project will include sustainability practices such as reusing materials where suitable. Please review the below campus map, identifying the changed access, should you require further information on this project. Stage 1 will include Wirri Place, Village Drive from the Gymnasium 1220 to Minimbah Place and from Ordnance Road to John Oxley Village carpark P12. Stage 1 road closures will be in place from 3rd December 2018 till mid-February 2019. Carpark P5 will be closed throughout the duration of Stage 1 and access to carpark P6 will be via a temporary road off Wiradjuri Rd. Stage 2 will include Village Drive from Minimbah Place to Ordnance Road and Ordnance Road from Village Drive to and including the disability spaces behind the Library 1412. Stage 2 road closures will be in place from mid-February 2019 till the end of April 2019. Access to carparks P12 and P13 will be via a temporary road off Ordnance Rd behind the Library 1412. Access to carpark P8 via Minimbah Place will be possible during Stage 1, but closed during Stage 2. Bus services will operate along an alternative route during the duration of works. A temporary bus stop will be located on Wiradjuri Road, opposite building 1430. Graduations: Works to the Gymnasium end of Stage 1 will cease during graduation celebrations on 13th and 14th December 2018. 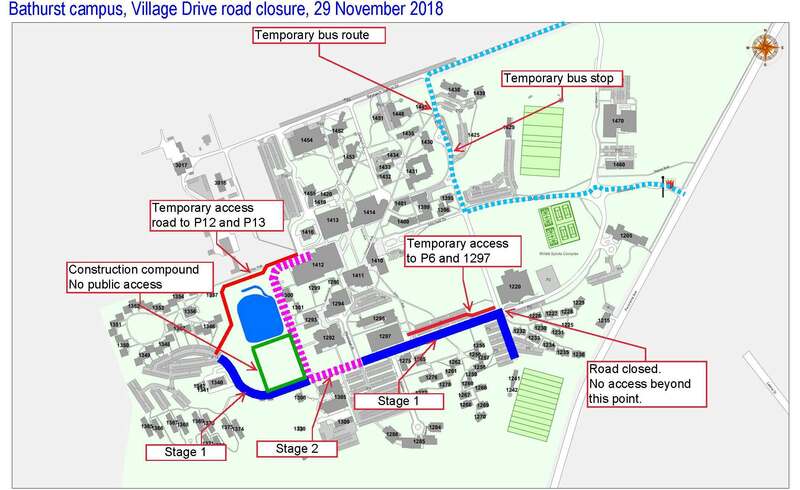 Access to carpark P6 via the temporary road will also cease during the week of graduations from 11th December 2018 till the 14th December 2018 to allow for the establishment of outdoor marques etc. adjacent to Wiradjuri Road. The contract for Village Drive Stage 2 has been awarded to Davcon Constructions. Village Drive from the Gymnasium to carpark P7 and from Ordnance Road to John Oxley Village carpark P12 including carpark P5 and Wirri Place will be CLOSED for road works, commencing from December 2018. Detour during both stages will be via Research Station Drive, please follow directions as sign posted.